Kung Fu Panda 2 TV Spot "Awesomeness"
Checkout the first TV spot for the sure hit sequel "Kung Fu Panda 2", directed by Jennifer Yuh Nelson. Featuring the voices of Jack Black, Dustin Hoffman, Angelina Jolie, Gary Oldman, Seth Rogen, Jackie Chan, David Cross, Lucy Liu, James Hong, Jean-Claude Van Damme, James Woods, Michelle Yeoh and Victor Garber. Fun and action will hit the theaters on May 27, 2011 (2D and 3D). Long years of marriage or being together doesn't mean you found the right one like singer John Mellencamp and wife/former supermodel Elaine Irwin Mellencamp, who both decided to end their 18 year marriage (20 years together). The couple's rep. released a statement: "John and Elaine Mellencamp are proud of their 20 years together and are very happy with their accomplishments both as parents and as a family. They will continue to raise their two children in Indiana but have decided to call it a day as a couple." The two tied the knot on September 5, 1992 and have two sons together. John also has three other children from two previous marriages. The Kardashians reality empire continues to spread out as Khloe Kardashian and her husband Lamar Odom are getting their own reality TV show which will focus on their married life. An insider tells USmag, "It shoots in the spring. They're so cute, playing off one another." The couple are making regular appearances on "Keeping Up With The Kardashians" and the spin-off "Kourtney & Khloe Take Miami". Khloe will be surely at the spotlight. Viewers are surely interested on how she as a wife and stepmom to Lamar's two children. Reese Witherspoon will be walking down the aisle again and expressing his good wishes to her engagement to Jim Toth is her ex-husband Ryan Phillippe. Phillippe tells the NY Daily News, "I'm very happy for both Reese and Jim. I wish nothing but the best for the mother of my children." The 34 year-old actress' first road to happiness is with Ryan Phillippe but they decided to divorced in 2008, ending their seven years of marriage. They got two kids: daughter Ava, 11, and son Deacon, 7. Checkout some on-set snaps and interview clip of Anne Curtis for the upcoming pre-Valentine romantic movie "Who's that Girl?" with Luis Manzano under Viva Films. Other cast includes John Lapus, Candy Pangilinan, Dennis Padilla, Dina Bonnevie and directed by Wenn Deramas. "I was super-outgoing until I was around 10. I got a bit older and started getting shy. Way too shy. "I felt so extremely ugly. When I look back, I was not ugly – I was cute and had a gap in my teeth. But I wish I could have enjoyed that part of my life and be more confident." The MP3 album deal of the deal over at Amazon today is a Journey's Greatest Hits for only $3.99. This deal is valid for today, Friday, December 31, 2010, but chances are it will last another day as well — though, you shouldn't wait just in case. 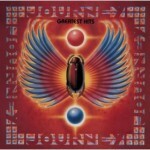 The greatest hits collection has 16 songs on it, many of which you'll recognize as chart toppers from the 1980s: "Don't Stop Believin'," "Open Arms," "Separate Ways," "Who's Crying Now," "Faithfully," "Only The Young," and "Ask The Lonely." Their popular tunes from the 1970s are also represented with "Wheel In The Sky," "Lights," and "Any Way You Want It" (ok, that last one was from early 1980, but it still had the 1970's line-up and sound). 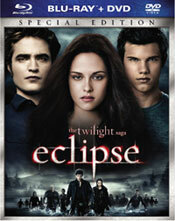 The digital rental deal of the day is Twilight Saga: Eclipse available for rental for only $.99. This deal is valid only for today, Friday, December 31, 2010, until midnight PST. Once you activate the rental through Amazon's Video On Demand service, you'll have access to the movie for 48 hours. If you're interested in purchasing the digital version, the cost is $14.99. Also, if you'd like to own a physical copy of the movie, all four editions of The Twilight Saga: Eclipse are part of Amazon's "Buy This DVD and Watch it Instantly" program. That means with the purchase of any version, you will be able to watch the movie instantly through Amazon's Video On Demand (see more details about this below). For a limited time, Amazon is offering $8 off the purchase of The Twilight Saga: Eclipse on DVD and Blu-ray. Enter the claim code TWILIGHT at check out for the discount. For those who celebrate Wookiee Life Day as opposed to all of the other end-of-year holidays, we have a treat for you... the Star Wars Holiday Special in 5 minutes, specially edited to only focus on the "live-action" stuff. Watch it here below. If you haven't seen the Holiday Special before, it's certainly a gem from its time. If you thought Expanded Universe debates and Originals vs. Prequels debates turn out to divide fans, wait until you get in the middle of an argument about this thing. Complete with Bea Arthur and Jefferson Starship, The Star Wars Holiday Special first aired in November 1978 and also featuredHan and Chewie, Luke Skywalker with the WORST possible haircut ever, and Princess Leia singing a song that is sure to induce brain hemorrhages. 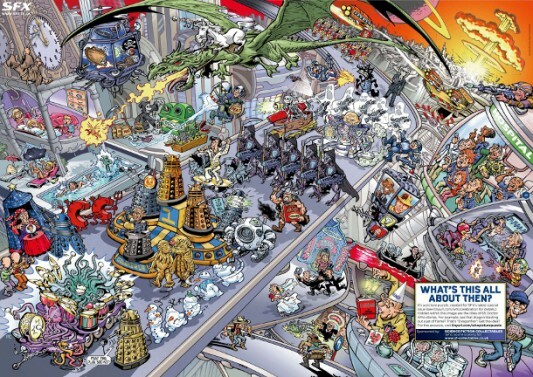 SFX magazine recently put out an all Doctor Who-themed issue, which contains a highly cryptic two-page picture puzzle containing the titles of 65 Doctor Who stories. Visit SFX to download hi-res versions of the puzzle, so you can try it out. Every year, Jay Fowler aka SilentJay74 and myself put together a compilation episode of the Social Blend podcast that focuses on some of the interesting (read: mostly ridiculous) moments from the year. 2010 was an awesome year for Social Blend and there were some great moments from the year. The Best of Social Blend 2010 is now online at Social-Blend.com and also features a short clip from The Ultimate Geek Movies episode we posted about here recently.